There’s still time to get in on the first round of the Summer Hiatus Challenge. See my last entry for details. Please play, and let me know if you do! You can join in at any time. And I am sweetening the deal: If you found out about the Challenge here, and you sign up and play, you will qualify for a random drawing for Chuck Forrest’s book Secrets of the Jeopardy! Champions. Just leave a comment on this blog with your message board username to let me know. You can qualify by signing up any time during the first six weeks. This book is out-of-print and rare, so this is an excellent opportunity for you. Plus, you’ll have fun and you will learn a lot. 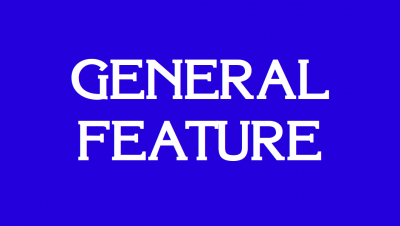 So if you read the first sentence of this entry, you probably figured out that Jeopardy! is on hiatus for the summer. They’re airing the Teen Tournament that first aired in November 2009. Will Dantzler found all three Daily Doubles today, and he was in the lead each time he found one. He wagered 3000 of his 5000 on the one in the Jeopardy round. His nearest opponent, Emily Lever, had 2200. This is the clue, in Exploration: “Lewis and Clark began their expedition on May 14, 1804, by traveling up this river on a keelboat.”* At the end of the Jeopardy round, Will led with 9800, Bonny Jain had 3200, and Emily had 2600. Bonny, by the way, is a former National Geographic Bee Champion. When are they going to start airing that on TV, like the National Spelling Bee? I’ve been interested for a long time. 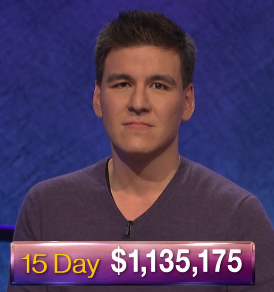 Will had 12800 when he found the first Daily Double of the Double Jeopardy round, in Objects in Mythology. Bonny was his nearest opponent with 4400. Will wagered 4000 on the clue: “Memory-erasing fruit eaten by Odysseus’ men.”* The Odyssey was one of my favorites in high school, but I missed this one, and so did he. By the time he found the second Daily Double of the round, though, Will had 13400 and was leading Bonny by 3400, which is how much Emily had. The category was Also a Chess Piece, and Will wagered 5000 on the clue: “2 historical books in the Old Testament.”* He got it right, with exactly 3 categories left in play. By the end of Double Jeopardy, Will led (surprise!) with 20000, Bonny had 10400, and Emily had 8600. The final category was Historic Americans. The clue: “On July 11, 1804, he gasped to his doctor, ‘This is a mortal wound”; he died the next day.”* My mom got this one right, after asking me if I knew it. (I didn’t.) Will and Emily had it right, too. Will advances, then, to the semifinals. Bonny’s score was 4134, probably not high enough to advance as a wild-card. Emily’s final score was 11600, which may be enough. We’ll find out at the end of this week (that is, if you missed these episodes the first time or if you don’t remember)!